A classical show with character brings something different to The Stoller Hall. 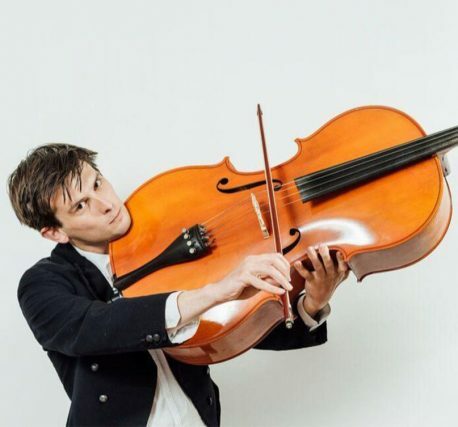 Kieran Hodgson’s one-man show Maestro takes us from his Yorkshire childhood across the channel as he attempts, fiddle in hand, to pen a four-movement symphony. It’s a comedic story inspired by the grandiose works of Gustav Mahler that highlights the ever-so-human habit of trying things beyond our abilities. This is Hodgson’s second Edinburgh Comedy Award nominated show following Lance, his BBC Radio 4-adapted piece about disgraced cyclist Lance Armstrong. The Times called ‘Maestro’ a “funny heartwarming show sends you out humming with happiness” – and it’s well within your abilities to win tickets with Manchester Wire. We’re offering a lucky Wire reader the chance to win a pair of tickets for Maestro. To enter, simply sign up to our mailing list in the top right hand corner of our home page, then send an email headed Maestro competition including your full name, age and Twitter handle to competitions [at] manchesterwire [dot] co [dot] uk. Competition closes at midnight on Sunday 10 September – and winners will be notified via Twitter and email the following day. Manchester Wire readers can also get 50% off tickets for this show using the code ‘Earworm’ at the online check out, or when booking over the phone.